Probably the least investigated at time of purchase is the external maintenance bypass switch. Sometimes it is even excluded to make a bid competitive and/or to meet budget. Yet choices here can have an impact on a critical power installation, years into its operational life. Ask any UPS engineer his or her least favourite part of a UPS maintenance visit and it is almost always the turning of the maintenance bypass switch. UPS engineers are only too aware of the impact bypass switch failure can have. Some data centres won’t even allow a UPS bypass switch to be used during a maintenance visit without written authorisation. A UPS maintenance bypass is a relatively simple device and one that should automatically be part of any critical power installation. The bypass switch allows a UPS system to be taken out of the critical power circuit (electrically isolated) for safe maintenance work or swap-out. Without such a device, the only alternative is to power down IT systems and then to remove or work on the UPS. In a world of cloud-based, 24/7 network operations, requesting downtime can be an organisational nightmare. Apart from having to schedule the downtime to have the least impact on the organisation, IT network kit is most reliable when left running. The adage that an old light bulb almost always fails when switched on is never more true than when considering IT systems, with legacy systems sometimes proving even more problematical to bring back online. An external maintenance bypass may be rack mounted or wall mounted, single or three phase with a maximum switch/breaker rating. The bypass must be selected and matched to the UPS configuration (1/1, 3/1 or 3/3) and maximum input rating of the UPS system. Electrical connections between the bypass and UPS input/output will be either ‘plug and play’ leads up to 3kVA or hardwired. For hardwired installations, a suitably qualified and certified electrician or electrical contractor will be required. External UPS maintenance bypass switches should not be confused with the internal maintenance bypass switch built into some UPS or the electronic (static switch) in online UPS systems. An internal maintenance bypass arrangement only allows for safe maintenance work in electrically isolated parts of a UPS system. There will still be live areas and busbar connections. The static switch in online UPS systems is not a maintenance feature but a device to allow a UPS to fail safely to mains if the inverter is overloaded or develops a fault condition. An external maintenance bypass is almost always mechanical in form. The bypass will be housed in a metal box with either a rotary switch or set of circuit breakers. The switching mechanism should be make-before-break to prevent any interruption to the IT load but some may be break-before-make with a relatively small (milliseconds) break in supply. UPS maintenance bypass options can include a filtering circuit for spikes and electrical noise for the raw mains supply circuit, volt-free contact signals for interfacing to a BMS and Castell interlocking to add switching security with the UPS arrangements. With or without Castell safety interlocking the UPS/bypass switching should be documented and followed as a controlled procedure to prevent damage to the UPS output circuit and dropping of the critical IT load. UPS manufacturers normally list maintenance bypass switches as ‘UPS accessories’ on their price lists. Their inclusion in a UPS quotation is not necessarily automatic unless called for as part of a specification or included by the UPS power protection expert or electrical installations company. UPS manufacturers may either have their own design volume-manufactured (typically for small UPS below 3kVA) or rely on third-party supplied products manufactured locally, in country. In the UK, there are a handful of maintenance bypass switch suppliers. These can be classed into assembly houses and manufacturing operations. 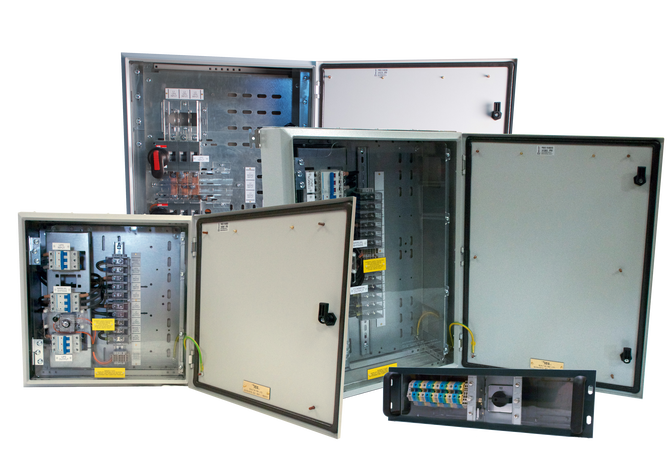 The former rely on bought-in enclosures, with limited abilities for customisation – parallel UPS installations, smarter metering and remote communication options and separation forms for data centre, industrial and transportation installations. The latter tend to have more sophisticated and developed engineering capabilities with in-house design teams and CNC metalwork fabrication departments. As with any piece of electrical switchgear the key component is the switching mechanism. Whether this is a rotary switch or circuit breaker arrangement, some due diligence is required. There are well-established brand names for electrical switchgear and off shore, lower cost manufacturers. To prevent your choice of UPS maintenance bypass becoming a potential single source of failure, you need to gather information on the proposed device and its switching arrangements. Find out the brand name, place of manufacture, warranty period, switching arrangement (make-before-break or break-before-make), certifications (CE/BS EN) and Mean Time Between Failure (MTBF). Unless you are satisfied with the answers, don’t place the order but ask your supplier to source an alternative and more acceptable solution. In summary, there is no doubt that external UPS maintenance bypass switches improve the resilience of critical power installations. Whilst their inclusion will raise installation costs, bypass switches reduce Total Cost of Ownership (TCO) and especially if they allow UPS to be maintained or swapped-out without system downtime.